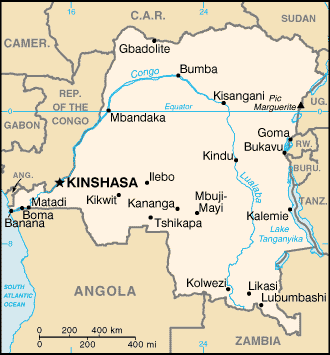 The Democratic Republic of the Congo, also known as DR Congo, the DRC, DROC, Congo-Kinshasa, or simply the Congo, is a country located in Central Africa. It is sometimes anachronistically referred to by its former name of Zaire, which was its official name between 1971 and 1997. It is, by area, the largest country in Sub-Saharan Africa, the second-largest in all of Africa (after Algeria), and the 11th-largest in the world. 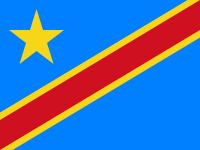 With a population of over 78 million, the Democratic Republic of the Congo is the most populated officially Francophone country, the fourth-most-populated country in Africa, and the 16th-most-populated country in the world.